A songbook and CD instructional kit containing over 900 rock, blues and jazz licks. 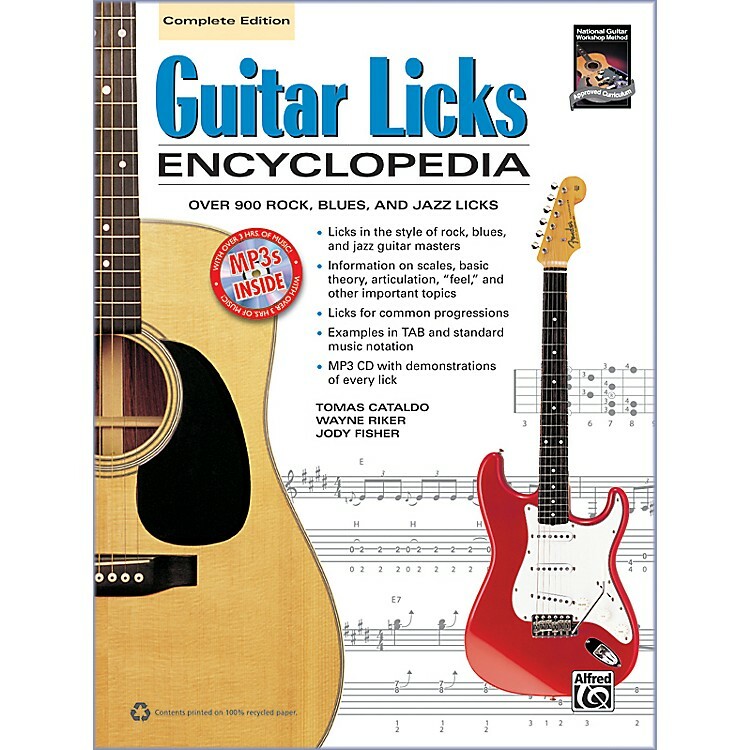 Alfred's Guitar Licks Encyclopedia is a comprehensive collection of over 900 licks in the styles of the greatest guitarists in rock, blues and jazz, and will expand your playing to levels you have never known. Rock guitarists covered include Chuck Berry, Eric Clapton, Jimi Hendrix, Jeff Beck, Jimmy Page, Eddie Van Halen, Steve Vai and many more. The blues section teaches licks, intros and turnarounds in Delta, Chicago, Texas, rock, country, swing, minor and slide blues styles. Jazz licks are shown and organized by chord type, with four voicings given for each chord, all notated in easy-to-read diagrams. In addition, a handy table of scales, basic theory, tips, technical instruction and other vital topics are also included. The MP3 CD features demonstrations of all the licks in the book.